This diploma is ideal if you want to add to your existing skillset or are looking to work in a role which demands top-level organisation and project management skills such as a Project Manager, Project Planner, Planning Manager, Team Leader, PA, EA, Office Manager or Virtual Assistant. Every project a business carries out is unique. They can vary from small scale, right through to the more complex and diverse, involving multiple teams and locations. Anyone who leads a project, no matter the size, should possess high-level project management skills. This Project Management Diploma has been created to help you learn to manage a project successfully through its initiation, planning, progression and closure. As well as this you will develop other skills such as leadership, communication, risk management and financial management. 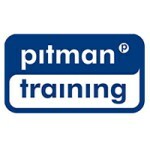 Once you have successfully completed your Diploma you will receive a globally recognised Pitman Training certification. You will also be well placed to go on and undertake the Prince2 Foundation examination* should you wish to. Carear Path This diploma can help lead you to a rewarding career as a Project Manager.